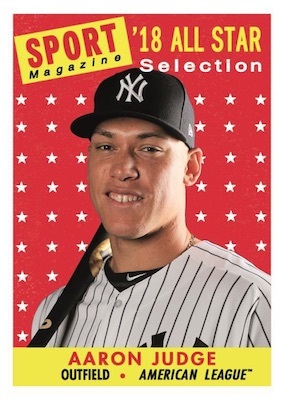 Revisit your collecting youth via 2019 Topps Archives Baseball. 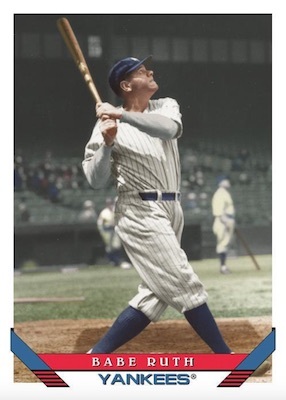 The retro-based set looks back more than ahead and touches on many previous Topps releases. Similar to past years, each Hobby box has two autographs. Collectors can count on a fresh trio of base designs from the 2019 Topps Archives Baseball checklist. In case you forgot, 2018 combined the looks from 1959, 1977 and 1981. For 2019, the lineup switches to 1958 Topps, 1975 Topps and 1993 Topps. Each design has 100 cards to create a 300-card base set. Parallels include Purple (#/175), Silver (#/99), Blue (#/25 - Hobby only) and Gold Foilboard (1/1). 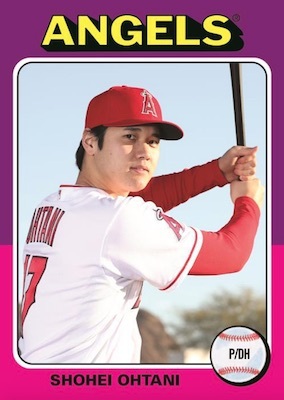 Topps also teased "a limited number of unannounced card variations." With 2019 Topps Archives Baseball, part of looking back means paying tribute to the greats. 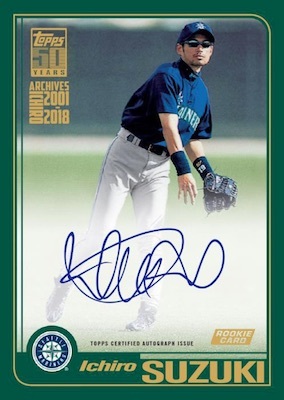 The Ichiro Retrospective insert does just that by reprinting the flagship Topps base cards from his career. These include Foil Logo parallels in Blue (#/150), Green (#/99), Gold (#/50), Red (#/10), and Black (1/1). There are also short print versions which feature the same parallels except for the Blue version. 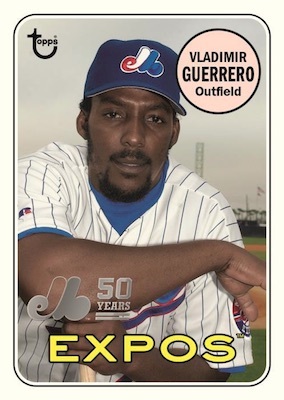 Gone but not forgotten, a former franchise is remembered in the 50th Anniversary of the Montreal Expos set. These have the same parallels as the Ichiro insert line. Other inserts in 2019 Topps Archives Baseball include limited 1975 Mini Base cards, and the 1975 Topps Highlights cards for past moments. The 1993 Topps Rookies insert uses the Draft Pick design once more, while 1994 Topps Future Star identifies the future stars of today and from 25 years ago when the set released. Using Topps Magazine as the inspiration, 1994 Topps Magazine features "new" covers done in the old style. Value blaster boxes each have two of the 1971 Topps Coin cards. There are also limited Sky Blue parallels for the coins. Again acting as the main option for signatures, the on-card Fan Favorites Autographs line mixes past and present players and multiple designs in one group. Parallels include Purple (#/150), Silver (#/99), Blue (#/25 - Hobby only) and Gold Foilboard (1/1). Most of the inserts have hard-signed versions, as well. This includes Ichiro Retrospective Autograph (#/5) cards for the base and SP set. Collectors can also hunt for the 50th Anniversary of the Montréal Expos Autograph cards in Green (#/99), Gold (#/50), Red (#/10), and Black (1/1) Foil Logo parallels. These are joined by 1994 Future Star Autograph and 1978 Topps Record Breaker Autograph cards, which offer Blue (#/25 - Future Star only), Red (#/10) and Gold (1/1) parallels. 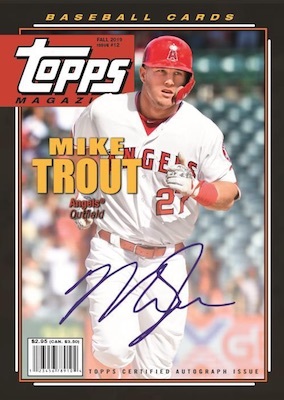 Working as a case hit, the Hobby-only Topps Magazine Autograph cards add an on-card signature for top names. Parallels include Blue (#/25) and Gold (1/1) editions. 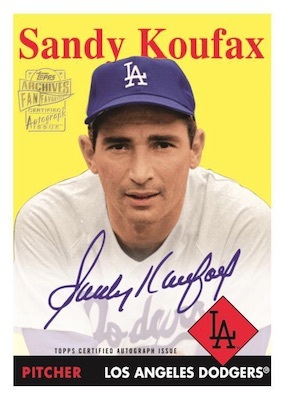 Finally, the Topps Original Autograph buybacks are numbered to 10 copies and come from sets issued during the 1950s to 1990s. Love the 1975 design — 1993, not so much. I’m giving 4 stars based on the descriptions. I love the Archives product, but the 1993 design was boring. Actually, most of Topps designs in the 1990’s were awful with too much foil. They would’ve been better using the 1989 or skipping to 2000 (which is a nice clean design). I’ll still be buying a few blasters and a hobby box in August, though!